The choreography is not easy even for the members. On November 6th, TWICE performed their new title track 'Yes or Yes' for the very first time at the '2018 Genie Music Awards.' Following the song's up-tempo, the girls brightly danced and moved their bodies along with the beat. If you saw the performance through the TV broadcast, you won't be able to see the "aftermath" of the choreography. However, a fan has captured how TWICE members were literally falling down on the stage after the performance. 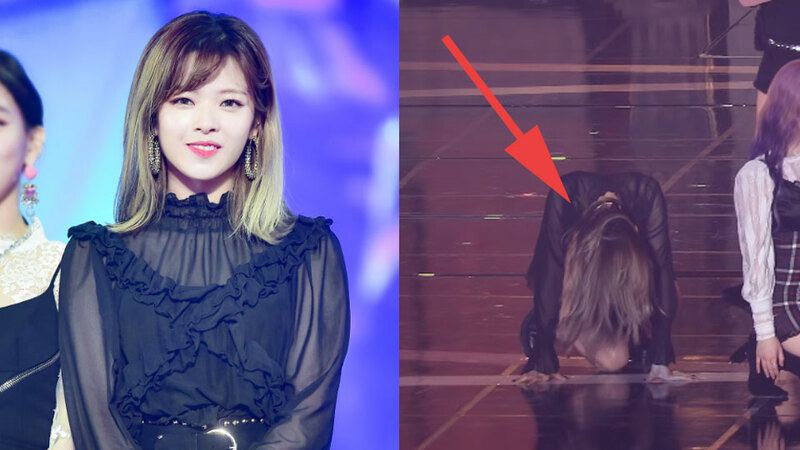 Jeongyeon could be seen struggling to stand up after the dance. Not only her, but members Jihyo, Nayeon, Momo, and Chaeyoung were also seen to be exhausted after they performed the song. You can watch the full performance in the fancam above.